Rhein-Main Airport is just a stone's throw away, and Frankfurt city center with its exhibition center and financial district is also nearby. Thanks to the shuttle service between the hotel and airport and easy access to the highway, our hotel is the ideal base for your activities throughout the Rhine-Main region. The ibis Frankfurt Airport hotel has 132 comfy air-conditioned, non-smoking rooms with soundproofing plus extra-comfortable Sweet Bed by ibis beds and 24/7 service. Take advantage of our shuttle service between the hotel and airport. The bus stop is located at Terminal 1, Arrivals Hall B, Exits 5. The shuttle runs between 5:05am and 11:20pm. Look forward to an unrivalled level of sleeping comfort. All 132 rooms are soundproofed, air conditioned and feature extra-comfortable Sweet Bed by ibis high-tech beds. With free WIFI, desk and TV with a wide range of Sky channels. 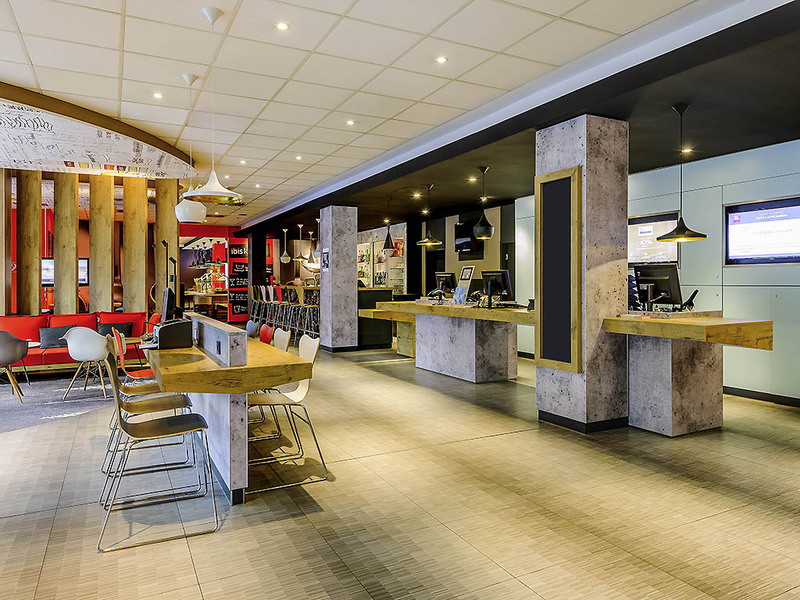 Our bar is always there for you: Every day, we serve round-the-clock beverages and refreshments, hot drinks and tasty food. Crispy paninis are available in five delicious versions, and can also be taken away! Live sporting events are shown on Sky.